Rajan’s extension as RBI governor has been the topic of speculation and has intensified after Bharatiya Janata Party leader and Rajya Sabha Member of Parliament Subramanian Swamy wrote to Prime Minister Narendra Modi seeking his immediate removal. Amid debate over Reserve Bank of India Governor Raghuram Rajan’s second term, the government is said to be in no hurry to decide on the matter. The Centre will take a call in August, just a month before his three-year term ends, The Economic Times reported on Monday, quoting an unnamed government official. Rajan’s extension as RBI governor has been the topic of much speculation, and has intensified after Bharatiya Janata Party leader and Rajya Sabha Member of Parliament Subramanian Swamy wrote to Prime Minister Narendra Modi complaining about Rajan’s actions and sought his immediate removal. There has been no discussion yet on Rajan’s term as the Centre does not begin these talks so early. “These decisions are taken much closer (to the date), and reached quickly,” one official told the publication. Meanwhile, Swamy’s statements will not have an impact on the Centre’s decision, nor will Rajan’s global status as a star among central bank governors and economists, a senior government official told the newspaper. “In the past, people like Y V Reddy and Bimal Jalan have performed the role with great distinction and there is nothing to show that homegrown talent would be in any way inferior," the second official, who also remained unnamed, said. Swamy’s letter to the Prime Minister had stirred a hornet’s nest as the debate on whether Rajan must be given a second term came into limelight. He highlighted how Rajan was ‘not mentally fully Indian’ and how his policies had impacted the economy negatively. Finance Minister Arun Jaitley went on to say that both the RBI and Finance Ministry shared a ‘mature relationship’. Experts and industrialists have largely backed Rajan’s second term, applauding his policy actions. But there are some who question his actions in specific issues. Take having an inflation-focused policy for instance. “I have serious reservations about the wisdom of a single-point agenda like inflation targeting: Even the US Federal Reserve has two objectives - price stability and employment creation. In many ways, our first macroeconomic priority needs to be job creation, with around 12 million Indians entering the job market each year; the actual performance has been very poor over the last couple of years,” writes AV Rajwade, chairman of AV Rajwade & Co Pvt Ltd, in this report. Meanwhile, some defended his actions stating actions had to be taken on both sides for policies to work. “Still, there are voices that do not agree with Wood's opinions. "But those who have been criticising Rajan for a delay in interest rate cuts should know that banks are yet to keep pace with the series of rate cuts announced by the RBI governor over the past 18 months. "Further cuts will be meaningless if banks are unwilling to pass on the earlier cuts,” this report states. Raghuram Rajan must stay on as RBI Governor! 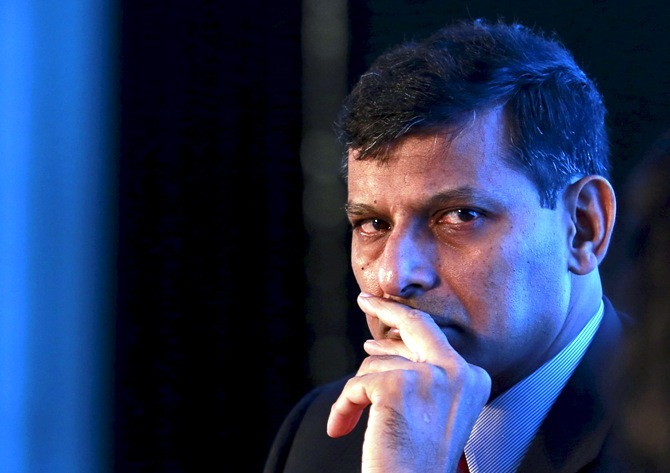 Will Raghuram Rajan get a second term?